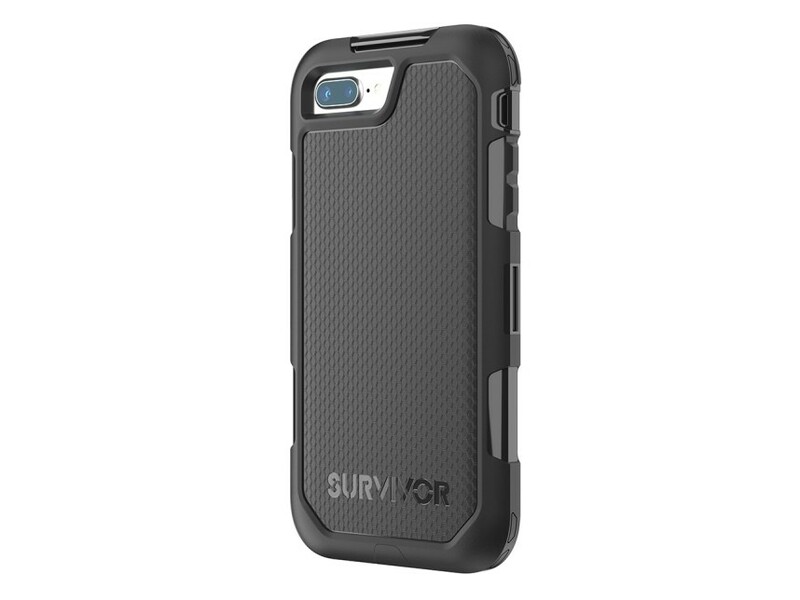 Griffin Survivor Extreme for iPhone 7/8 Plus provides excellent protection for iPhones that go places. 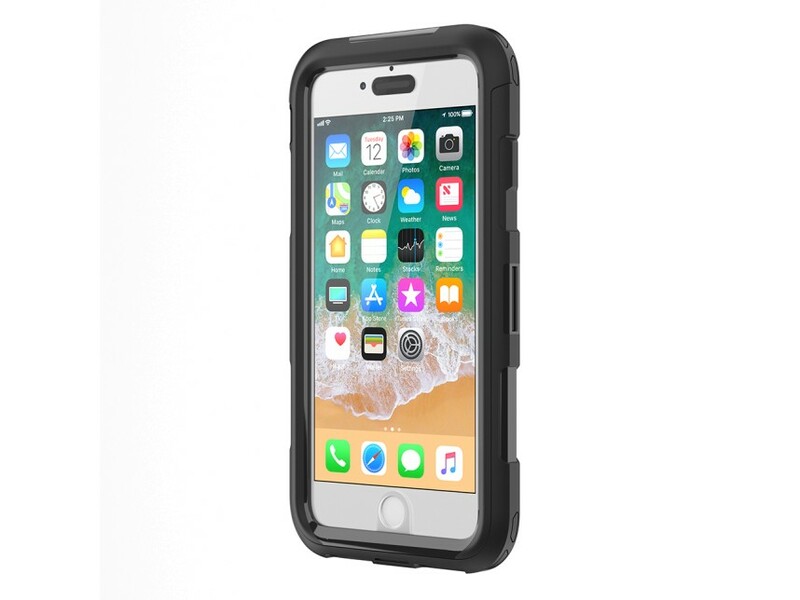 Griffin Survivor Extreme Case for iPhone 7/8 Plus is designed and tested to withstand drops of up to 10 feet (3m) onto concrete and is sealed against rain, wet conditions, and mud. 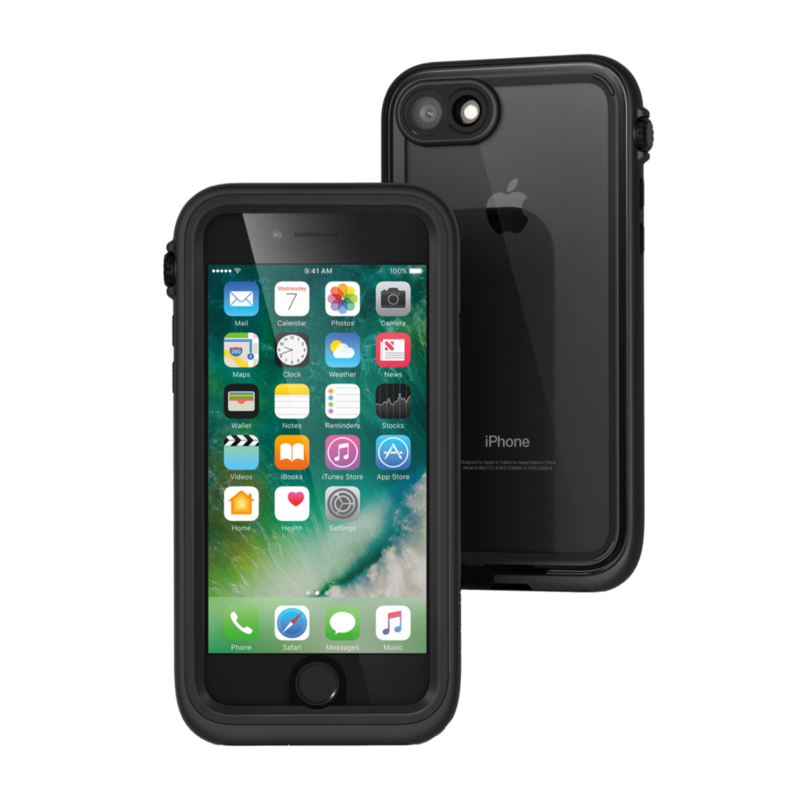 Extreme’s impressive drop protection and all-weather durability keep you and your iPhone 8 Plus ready for anything. 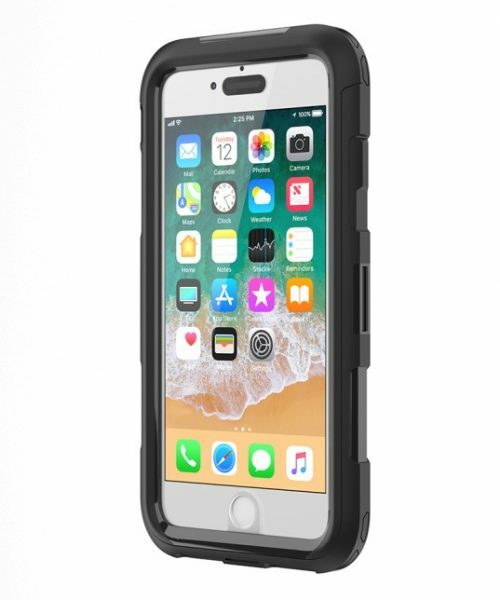 10 ft Drop Protection, 15% Slimmer than the Competition – Protect your new iPhone 8 Plus from the punishing impact of 10-foot (3-meter) drops onto concrete without the bulk of a typical rugged case. Extreme’s revolutionary Impact Dispersion System® puts a precision-moulded silicone shock absorber around your phone to disperse the impact of drops and keep your phone intact. When the Going Gets Tough, the Tough Get Extreme- Sure, iPhone 8 Plus is splash- and water-resistant. But Extreme is rated IP 55 against mud, rain, snow, sand and other messes that can damage your phone. 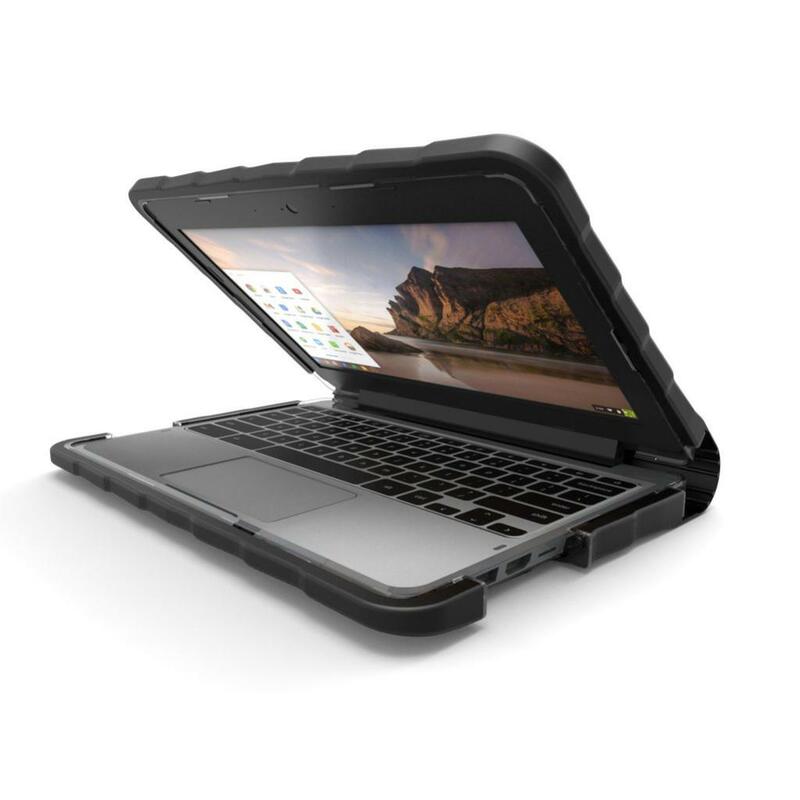 Extreme’s sealed design prevents screen and body damage from whatever the elements may throw at you. Worried about your iPhone’s speakers or microphone? With Survivor Extreme, you don’t have to. Extreme is designed with audio-transparent, water-resistant speaker and microphone covers for extra protection when things get messy. Easy-Install Screen Protector Slides On to Prevent Scratches and Damage – Protect your iPhone 8 Plus’ touchscreen from scratches, chips and cracks. 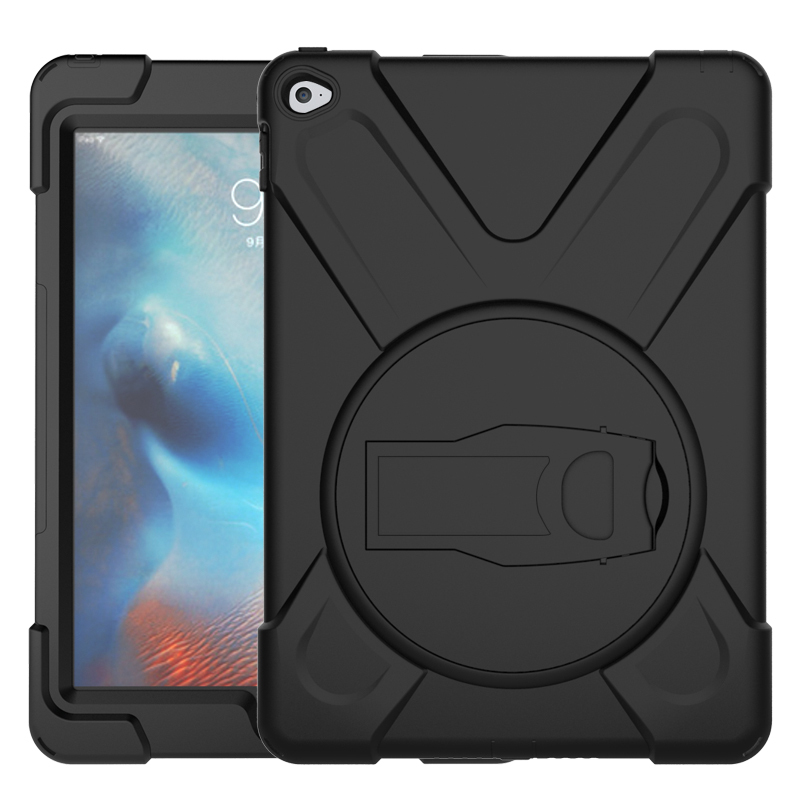 Survivor Extreme’s screen shield slides on easily and leaves your TouchID scanner fully functional and responsive. Multi-Layer Protection Separates Your Phone and the Outside – Extreme’s abrasion-resistant outer layer resists scratches and scuffs and provides a non-slip grip that still slides easily into pockets. 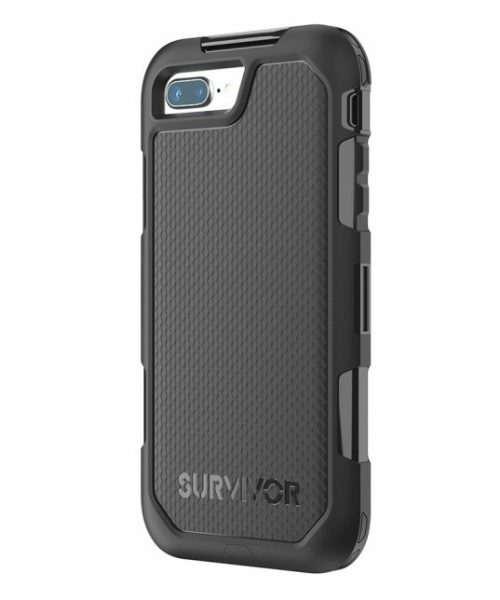 Inside its outer layer, Extreme’s tough one-piece shell deflects impacts before they reach your phone. Also tucked inside its outer layer is Extreme’s exclusive Impact Dispersion System® ring, which absorbs and redistributes impact forces as they happen. Finally, Extreme’s sliding front locks in place to prevent scratches or debris from ruining your iPhone’s MultiTouch display. 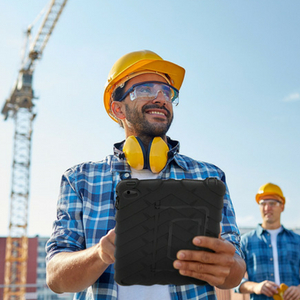 Lock-On, Rotating Clip for Versatile Use – Extreme’s lock-on belt clip holds your iPhone 8 Plus securely on your belt or shoulder strap. Its rotating clip can lock open to angle your phone for watching videos or making Facetime calls.